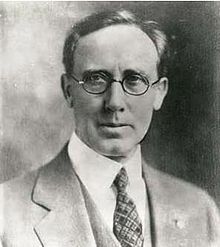 After Walton was thrown out in his first year, through impeachment, the next freely elected governor in 1926 was Henry S. Johnston, who suffered a fate similar to Walton's, although not because of criminal misconduct. He spent much time in his office reportedly engaged in solitary meditation and consultation with his personal astrologer. His administrative assistant had a room full of caged canaries with whom he claimed to communicate. The governor's personal secretary ran a tight ship that effectively cut off legislators wanting to discuss vital patronage matters. 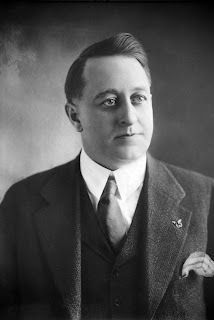 Legislators became furious and, in keeping with these turbulent times, ousted Johnston from office in January 1929. Thus by this early date the young state had removed two sitting governors from office, a record not matched by any other state until much later. Some say this man should have been in the entertainment business, or perhaps an evangelist? But his antics led to his quick exit from state high office. The period of the 1920s and 1930s was one of bitter political strife. Martial law was invoked repeatedly, and two sitting governors were removed from office. Jack Walton was the first to be removed. Elected in 1920, he ran a spectacular campaign heavy in showmanship. But in office he was a disaster. He publicly fought the Klan yet unofficially colluded with them. He wildly extended patronage powers to appoint college presidents and professors, arousing intense opposition. He invoked martial law and at one point had the whole state under martial law. Inaugurated on January 9, 1923, he was impeached and was removed from office in the same year on November 23.